23 Country Club Road, Cocoa Beach, FL.| MLS# 836386 | Free Brevard County MLS Home Search. No Agent Needed. Daily Auto-Email Listings of All Brevard County Homes and Listings For Sale That Meets Your Home Buying Criteria. Brevard County Real Estate Market Information. Welcome home! 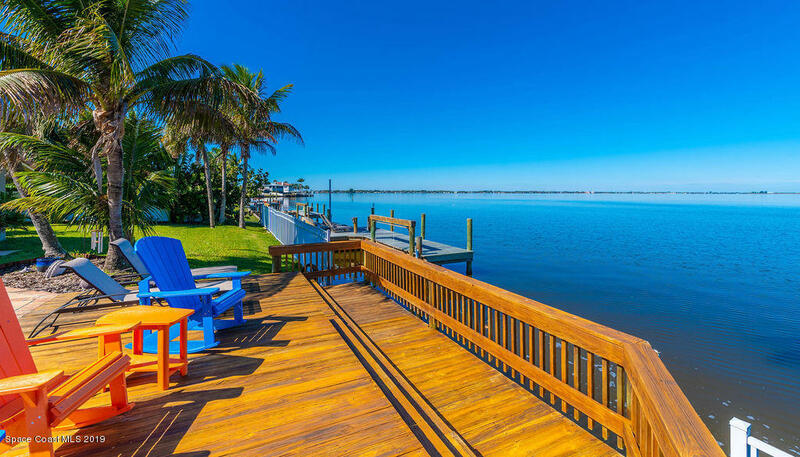 Boasting 100' of Banana River footage, this home is the definition of paradise. This fully-updated home is nestled in one of Cocoa Beach's most desirable communities. Take a morning dip in your private pool to watch the dolphins and manatees swim against a backdrop of Florida's gorgeous sunrise. If you prefer being out on the water, you're in luck; this home also includes a private dock and boat slip! The fully-remodeled kitchen supplies an abundance of counterspace, stainless steel appliances (including a double oven! ), and wine cooler. Located just minutes from shopping, dining, entertainment, and the iconic Cocoa Beach Pier, this home provides the utmost convenience.